Much like the Salmon, perhaps the most admired and enigmatic fish of them all. Imagine being born in the cold waters of a highland stream, spending your youth floating through sweet waters of green valleys, past little hamlets, and arriving at the grown ups party at the vast, salty ocean, only to swim right back, this time AGAINST strong currents, leaping high over rapids and even waterfalls, into that same mountain stream of birth, to start the cycle of life again! 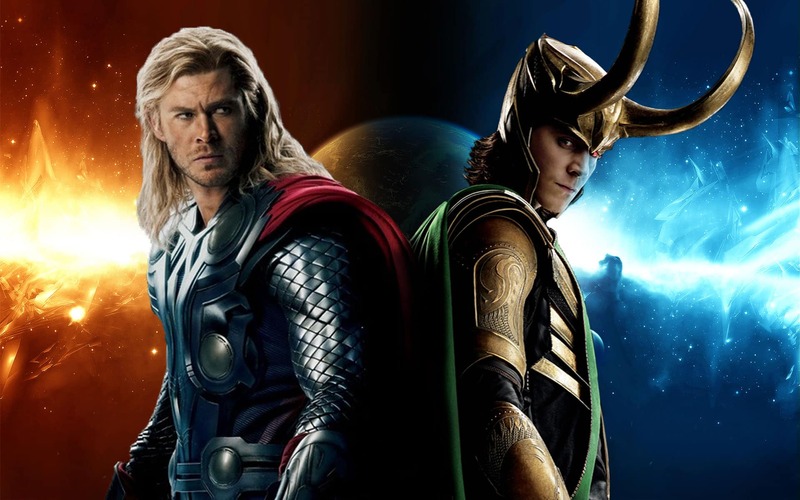 Loki, the mischievous God in Norse mythology, who’s usually up to no good, really goes and does the unforgivable – he tricks the blind God Hod into killing Baldur, the God of Peace and Forgiveness, a much-loved, nice guy. Knowing very well that the other Gods would not spare him this time, Loki transforms himself into a spotted, pink Salmon and dives into the river to escape. But Thor (enter Chris!) spots the silver and pink fish flashing in the sunlight, and catches it mid-leap, gripping it firmly by the tail, not letting go despite the violent thrashing about. And so it happens that the Salmon is cursed forever with a slender, dented and tapering tail! True, that’s not much of a curse, as is the fact that many Salmon fishing companies are named after the villain of the piece, Loki! But hey, who doesn’t love folklores? Mom’s patient storytelling got me through my meals when I was a stubborn, trouble-making toddler, and food stories still fascinate and inspire me. But the lights dimmed, I spotted a couple of familiar faces – Rhea Mitra Dalal and Prachi Joshi – and quickly joined them at the large, white table as the graceful dancers of Attakalari Dance Academy, Bangalore glided onto the stage to enthrall the audience. At the end of the piece, the Norwegian dignitaries – Foreign Minister, India Ambassador and Consul General, Mumbai – came up to do the launch honours and revealed some interesting facts, of which one, in particular, intrigued me. Norway, reportedly, was the first to set up a Consulate in Mumbai in the historic year of 1857, (yes, the year of the First War of Independence in India, better known as the Revolt of 1857). But in 1973, for reasons not many are privy to, it closed down. So, this launch in Mumbai makes it both the ‘youngest’ and the ‘oldest’ consulate in the city, and perhaps the one generating most interest, owing largely to the frenzied popularity of… yep, you guessed it right, the Norwegian Salmon! That characteristic pink-coloured slice of fish on your dinner plate can make you slobber in delight, instantly appreciate the chef’s prowess and also gauge the finesse of the place you are dining at. For, the Norwegian Salmon has become synonymous with class, distinctiveness, and refined taste the world over. After all, 14 million platefuls of smoked, pan-seared, butter-poached, butterflied, baked, ceviche-d, carpaccio-ed, sashimi-ed or just plain lettuce-tossed Salmon meals are consumed in one single day, around the globe. As I marveled at the spectacular display of the Norwegian Seafood Dinner laid out for us, I felt somehow connected to those 14 million Salmon-lovers, and the millions who were at that very moment digging into their trout, mackerel, halibut, herring, scallops, and the curious Klippfish… There were petite gem-like portions of seafood on the smorgasbord, with whole-roasted Halibuts and Salmons being intricately at live stations. It was a fitting showcase of the best offerings from the Northern seas, prepared by the charming and popular celebrity Chef Sebastian Myhre from Norway. At a quiet exclusive chat with the charismatic Chef, he confessed that this dinner for 250 guests needed every ounce of his creativity and attention, and some very nimble knife work and presentation skills from the team at the luxury Trident Hotels, spearheaded by Executive Chef Joy Bhattacharya. As a champion of local produce, the chef wanted to create interesting pairings with the top-quality seafood and fish that had all been flown in from Norway. Thus was born the delicately seared Scallops with the light crunch of local poppy seeds paired with Sea Urchin Mayonnaise, and the beautifully cured Trout bejeweled with Löjrom Caviar (a regular at royal dinners, and at the Nobel Prize Banquets!) with a dash of kicky local mustard dressing. The pretty desserts, intriguingly displayed in a large grandma’s cupboard, had one very interesting trifle-like dessert called Veiled Farm Girls served in large goblets. The chef explained that this was the traditional dessert of Norway, a favourite carried down through generations, made with layers of apple compote, whipped cream, cinnamon and breadcrumbs. ‘And lots of butter’, he added, with a characteristic flash of his dazzling smile. The dessert display in a wood-n-glass cupboard reminded me of Old Mother Hubbard, and made me all fuzzy and warm inside! Living in a city like Mumbai can sometimes make you feel like you need to come up for air. And what with all the blingy festivities and hosting all-night house parties and getting stuck in abysmal traffic jams, more and more people have been running to the biggest stress-buster of them all… the Sunday Brunch! But the best thing about Sunday brunches? It’s at a time of day when Monday has still not reared its ugly, monstrous head, and thoughts of getting started on another manic week are distant enough to allow you to pause and smell the flowers… or, the food! O:h Cha at Lower Parel is one such place where the airy interiors with natural light streaming down from skylights allow you to, or rather coax you to, pause and smell the aromas… of their Thai brunch. The snow-white tables and large bird-cage style lanterns give you a feel of easy style. And the the majestic sculpture of an eagle, mounted high above the bar, keeping an eagle-eye on all the proceedings below, is somehow reassuring as you settle down with a slender flute of Casablanca sparkling wine. The starters arrive in quick succession, of which the soft n crunchy Turnip Cakes and the quaintly woolly Fried Lemongrass Chicken are very good. But the surprise package is the Chicken Satay with its juicy and tender morsels of chicken, and a peanut sauce that you want to take back home in jars! This ain’t no ordinary Chicken Satay! Not a fan of soup at most times, I decide to try the Tom Yum in an attempt to appease my sore throat, sheepishly pushing away my now empty glass of chilled wine! And although the Tom Yum may not be strictly prescription material (sorry Doc Hingorani! ), its piping hot goodness and rich tomato-ey taste hits the spot! For main course, we are introduced to the Four Friends, a lovely coming-together of Asparagus, Shitake Mushroom, Broccoli and Forest Fungus that’s heartening in its simplicity and freshness – definitely an ode to good friendships! The Thai Green Curry and the delicately flavoured Steamed John Dory are quite lovely, but the Pad Thai can’t hold a candle to the real thing, as is the case with every Pad Thai I’ve had in the city. ‘Four Friends’ indeed… what a great team they make! As Sunday brunches go, O:h Cha has a relatively smaller spread (served directly at your table) as compared to other city brunch offerings, and is one of the quieter ones in the city, considering most places nowadays offer live music and karaoke to liven things up. But if you are looking for some much-needed R&R, some me-time to linger over heady flavours, a few moments to breathe deeply as you lean back to look up at the mellow afternoon sun and the glinting eagle, this place will fit right in to your city life. The wit. The men in smart suits strutting that wit. The diamonds. The women sashaying in gowns glittering in those diamonds. The wine. The majestic tables laid with shining cutlery and stately flower arrangements that held up those wine glasses. The lively jazz band fronted by Natty Congaroo that made all of the above swing to their foot-tapping beats. And yes, the massive buffet under the stars, showcasing food in all its glory, some of the finest dishes from cuisines around the world laid out enticingly. It was a night well dressed for the launch of an iconic brand, the luxury hotel St. Regis, in Mumbai. And while red Cummerbunds and Black pearls abounded, so did Kakunis and Peking Duck Pancakes and Lobster Raviolis and Steamed Chilean Sea Bass. And while a few delicate eyebrows arched dangerously on looking at my plate piled high with an array of sinfully delicious desserts, most others on the long walk from the dessert temple to my table smiled in genuine appreciation…That right there is the spirit of the city of Mumbai! As is the Mumbai Mary, a kicky take on the original Bloody Mary, a cocktail first made at St. Regis New York in the last century! Fernand Petiot, the bartender at St. Regis’ King Cole Bar, who perfected the recipe of Bloody Mary. 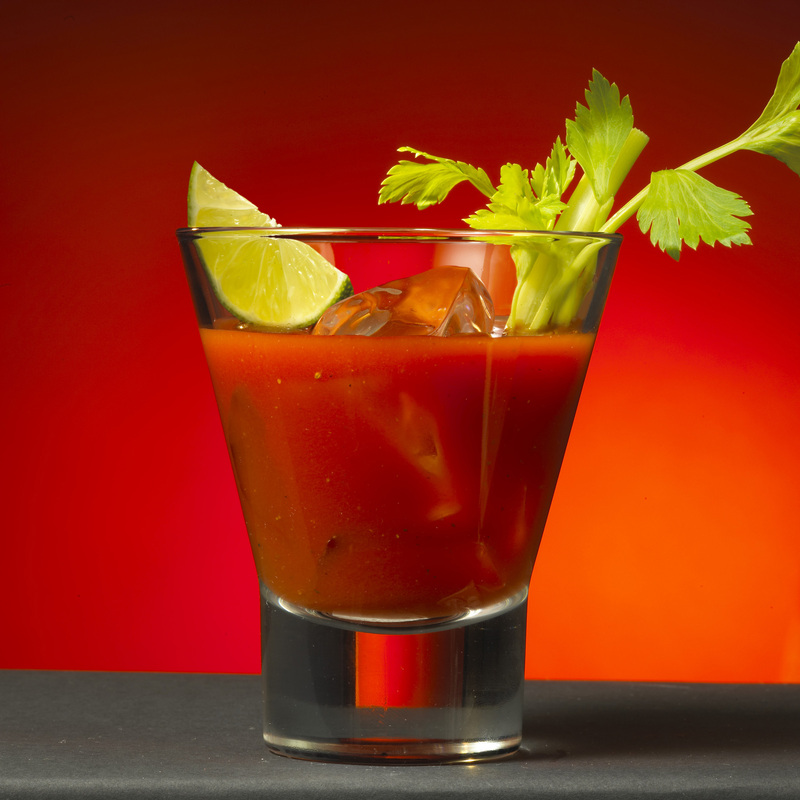 The famous cocktail Bloody Mary now has a spicy cousin in Mumbai Mary!